300,000 cetaceans die as bycatch of fishing every year. Adopt a Dolphin and help WWF to protect their future. 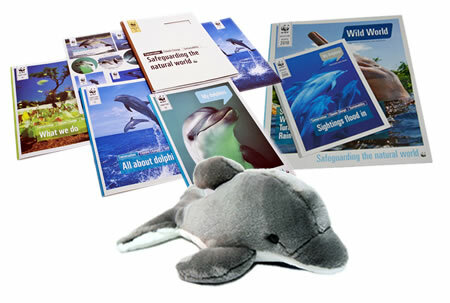 Adopt and receive a cuddly toy Dolphin, a fun filled WWF adoption gift pack, plus updates on your animal three times a year. Every year thousands of dolphins are accidentally drowned in fishing nets. Dolphins are one of the most intelligent species on the planet. This also makes them one of the most interesting species on Earth as well. Unfortunately, dolphins are victim of some incredibly horrific human actions, and what was once a vibrant species with a healthy population is now facing an existential threat. When you adopt a dolphin with WWF, you will help provide the funds to ensure more protected areas in key marine life habitats. 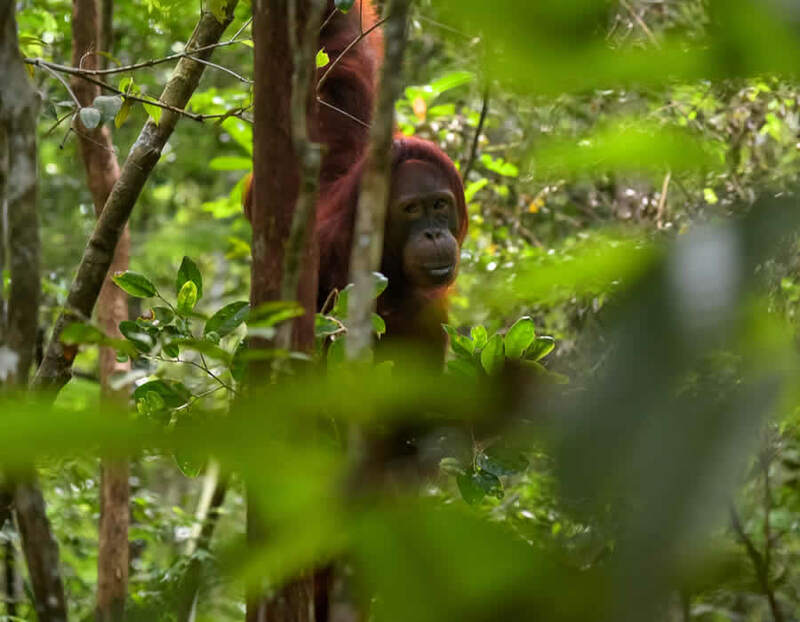 Each monthly donation made will help reduce the threats to these intelligent creatures, and create a better environment for them to live in and prosper. Ensure there is sustainable use of the world's oceans. The main reason behind the decline in dolphin numbers is the irresponsible use of our natural resources. Humans are overfishing and many dolphins end up being caught in fishing nets and drown in the process. This is known as “bycatch” and we need to do something about it. Many dolphins are also fatally injured by ships that trawl the seas and regulation of the ocean is sorely needed. You can help WWF do something about this by adopting a dolphin. 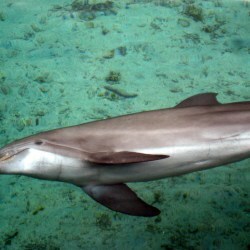 Another major threat to the dolphin is human pollution of the ocean. Not only do dolphins become sick as a result of the effluents humans dump into our oceans, but the ecosystem that supports them becomes damaged as well. You can help dolphin populations recover by providing WWF with the money it needs to lobby governments to regulate change. This is a biggie. Climate change is not only a threat to the dolphin, it is a threat to human beings as well. Whilst we all know about the effects of global warming on mankind, less is known about its impact on ocean life. Climate change is having a huge impact on underwater food chains that is sure to cause lasting damage to species such as the dolphin. This is nothing short of a global emergency and we need to do something about it right now. By adopting a dolphin through WWF you will be helping to be part of the solution instead of being part of the problem. Create more protected marine areas. The best way to protect dolphins and other marine species is to establish marine habitats that are protected from human activities. These habitats will provide sanctuary and will enable dolphin numbers to recover. It’s not easy convincing governments to prevent people from earning a living, but that’s exactly what has to happen if we are to ensure dolphin populations stay healthy. To do that WWF needs to fund efforts lobbying local and national authorities and you can help it do this by adopting a dolphin. Adopt a Dolphin and the recipient gets a beautiful gift pack to let them know just how much you care about them. An optional cuddly toy of your Dolphin. WWF's "Wild World" and "My Dolphin" with news and updates for your adopted animal. 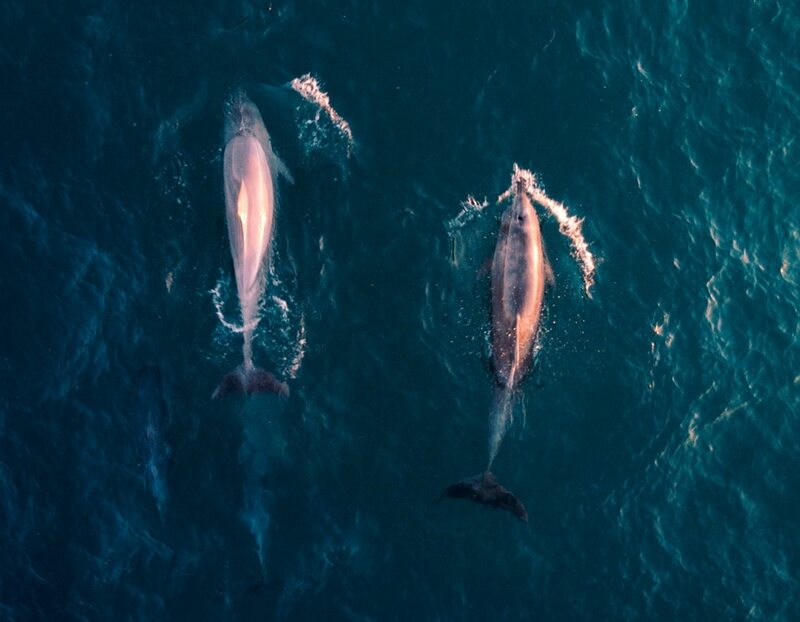 Dolphins have evolved to become highly intelligent marine animals that form part of the family of toothed whales that include orcas and pilots. 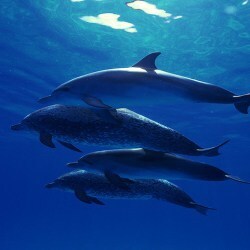 Dolphins are carnivores and mostly live on fish and squid. 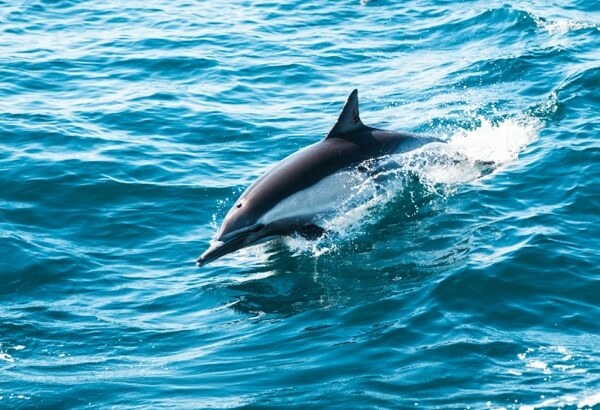 An adult dolphin weighs about 260 pounds and will consume about 33 pounds of fish a day. 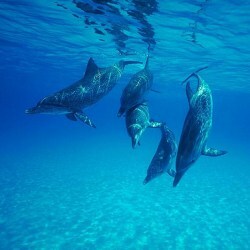 There are about 40 species of dolphin and most live in shallow areas of tropical and temperate oceans all over the world. There are five species that live in the world’s rivers. Dolphins are an incredibly social species that hunt and play together, living in pods that can number as many as 1,000 dolphins. 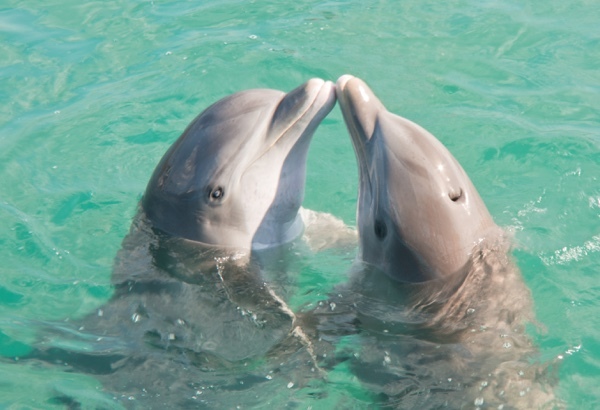 Dolphins have acute eyesight both in and outside of the water. They also have the ability to hear frequencies 10 times the upper limit of what humans can hear and have a well-developed sense of touch. Rather surprisingly they have no sense of smell. Our team bring your the latest Dolphin news from around the globe. Captive Dolphins Are Happy In The Company Of Humans But Does That Mean We Should Keep Them?